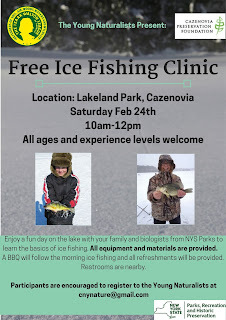 On February 24th the Young Naturalists will be hosting a free ice fishing clinic. 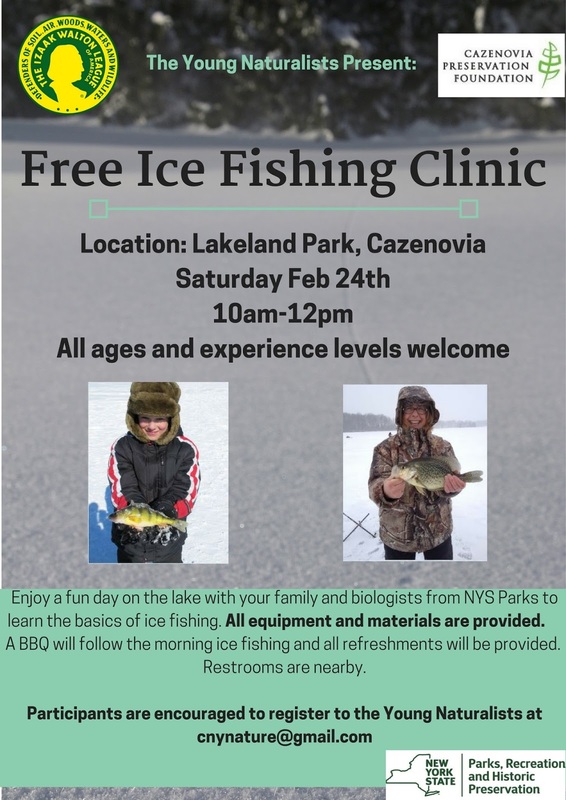 This is the perfect opportunity for anyone who has wanted to try it as all of the equipment will be provided for you to use! Let's hope for some cold weather beforehand so the lake stays as frozen as possible.